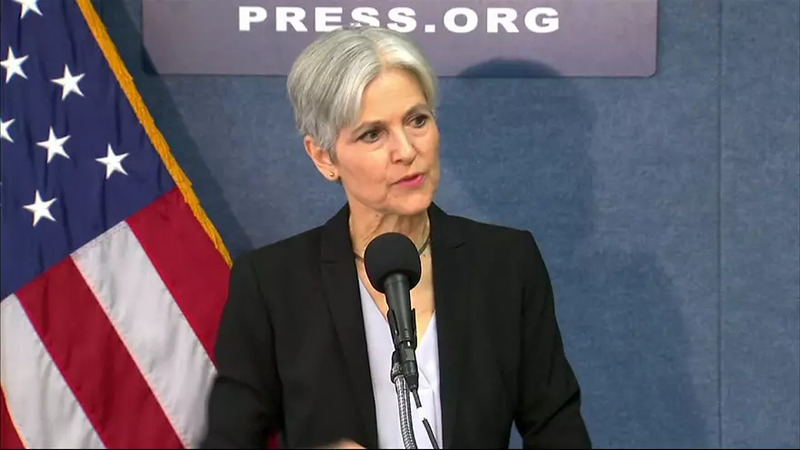 The Green Party’s candidate in the US presidential election is prepared to ask for recounts in key states, according to her team. Jill Stein says there’s “compelling evidence of voting anomalies” and has appealed for funds to challenge results in Michigan, Pennsylvania and Wisconsin. The Guardian reported that she had already raised the two million dollars necessary to file for a recount in Wisconsin. Academics and activists say they’re concerned that foreign hackers may have interfered with election systems. The US government said it saw no evidence on election day. Another expert who’s studied election systems has said a cyberattack was unlikely. The pleas for recounts have gained no support from Hillary Clinton’s campaign. It has agreed with experts that even a long and expensive review would be highly unlikely to change the result. The Democratic candidate won some two million more votes than Donald Trump but lost under the Electoral College system.